Angi Shearstone is an award-winning professional artist with an MFA in comics, a small herd of cats, undeniable geek tendencies and a great love for ska-core and punk rock. 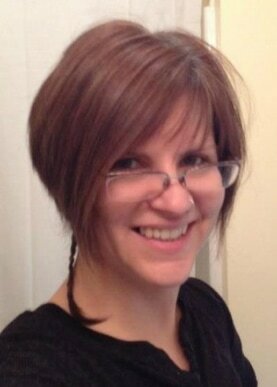 Angi primarily writes and paints, but also edits video, designs, and publishes as needed. She's worked in children's books with Mercer Mayer, in comics on Batman: Gotham County Line and Simon Dark with Scott Hampton, and on Princeless: Tales of Girls who Rock with Jeremy Whitley. She’s also collaborated with Mur Lafferty on Beyond the Storm: Shadows of the Big Easy, and otherwise has self-published a handful of comic book projects, two of which with Joe Sutliff Sanders. Currently, Angi directs her storytelling efforts into writing BloodDreams as a series of novels. She also creates and sells fine art, with her paintings ranging from Chinese ink painting to realistic watercolors to impressionistic oil paintings. Angi also blogs for Amazing Stories Magazine.